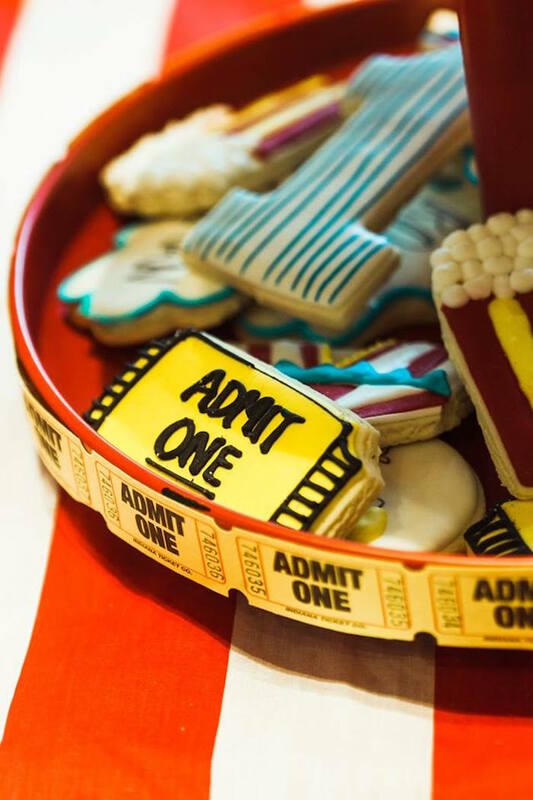 Looking for a place where you can see things that have never been seen before? 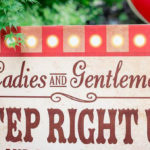 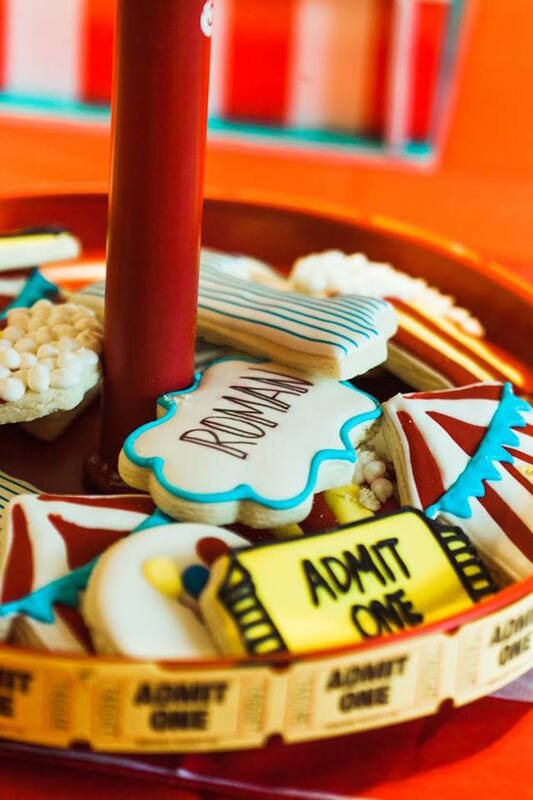 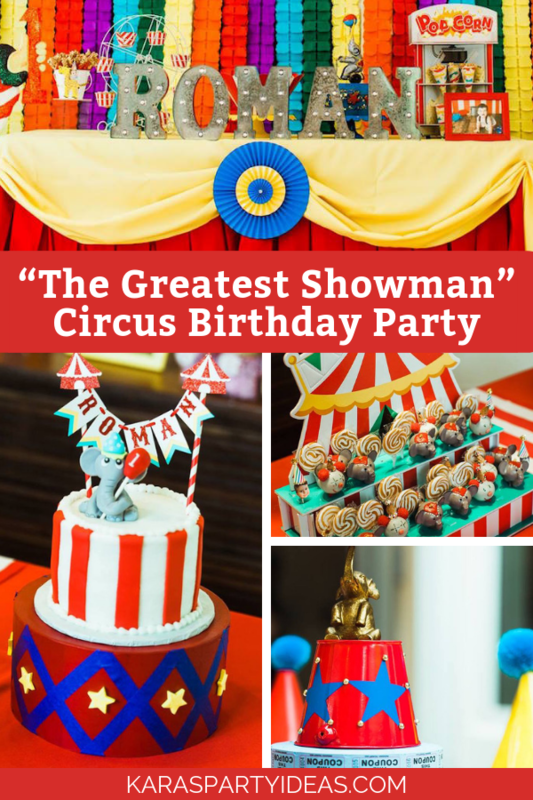 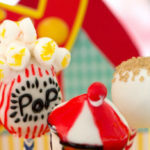 This “Greatest Showman” Circus Birthday Party is worth “A Million Dreams” and more! 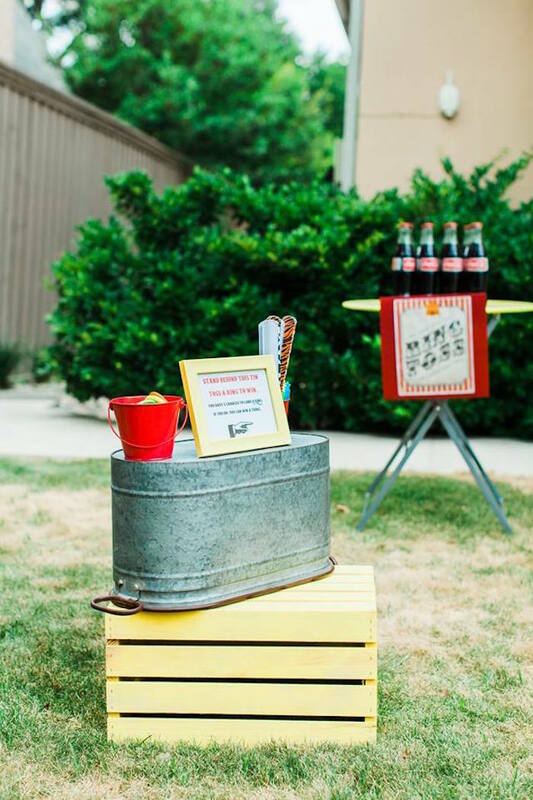 Styled by Jessica Fresch of Fresch & Fancy, out of Dallas,TX; this incredible event is singing with details sure to make you smile! 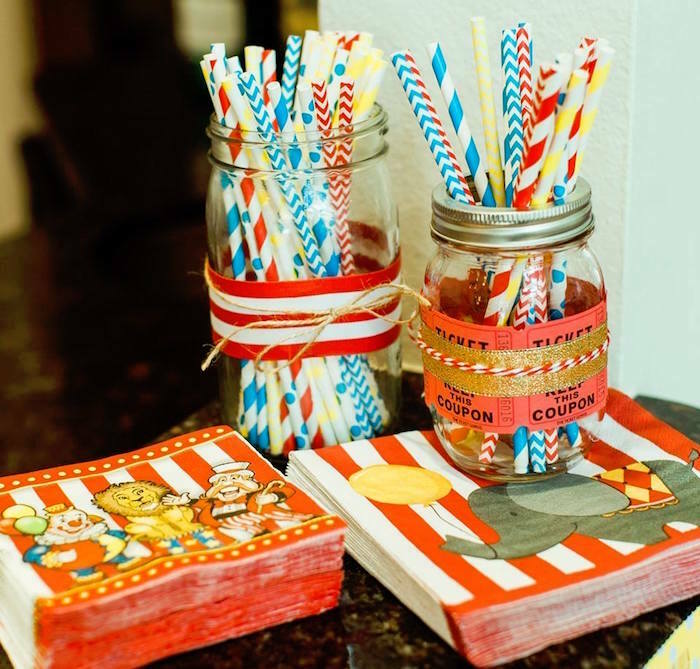 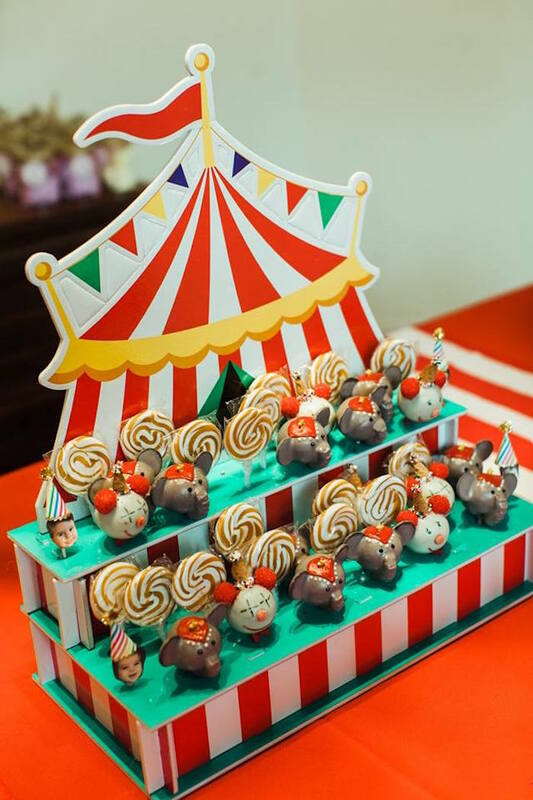 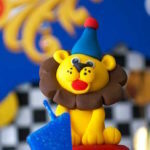 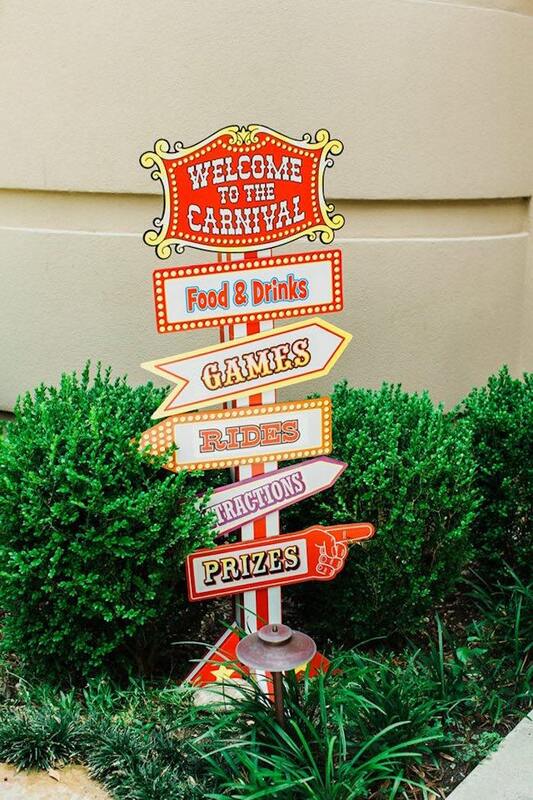 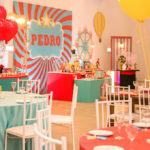 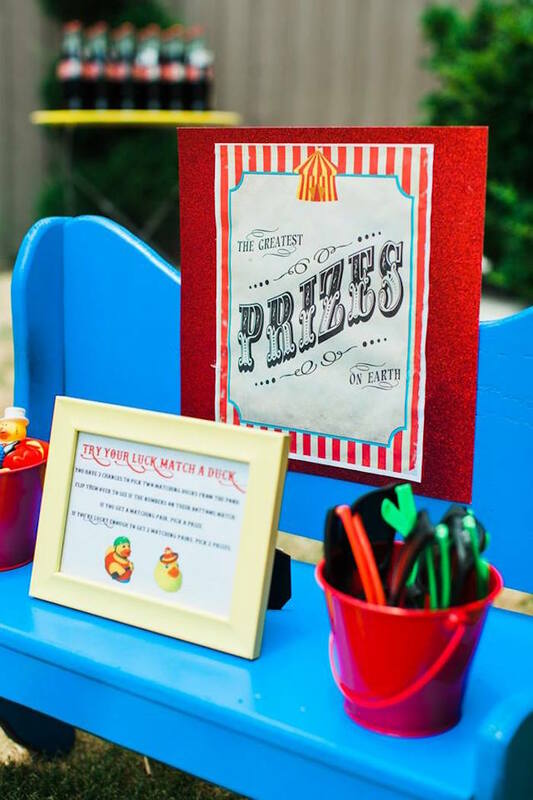 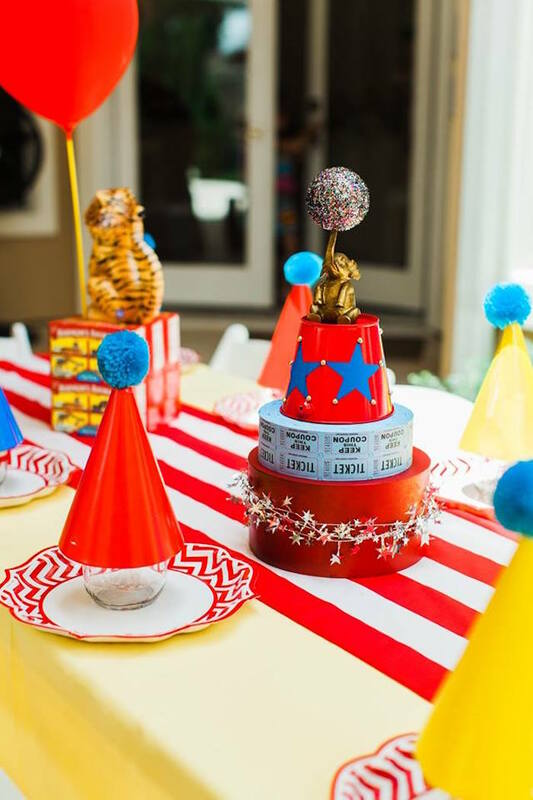 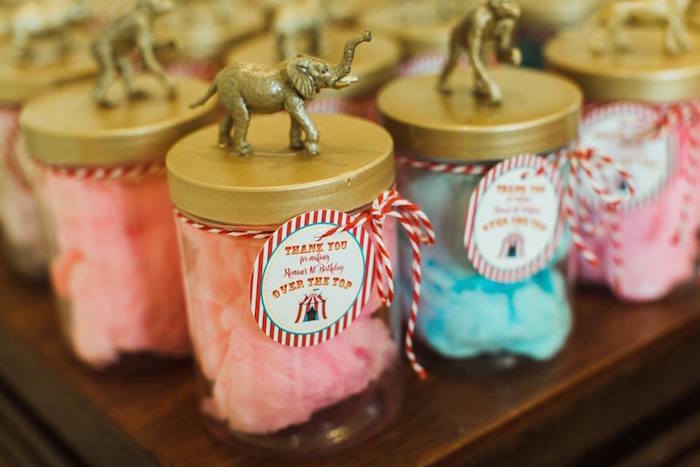 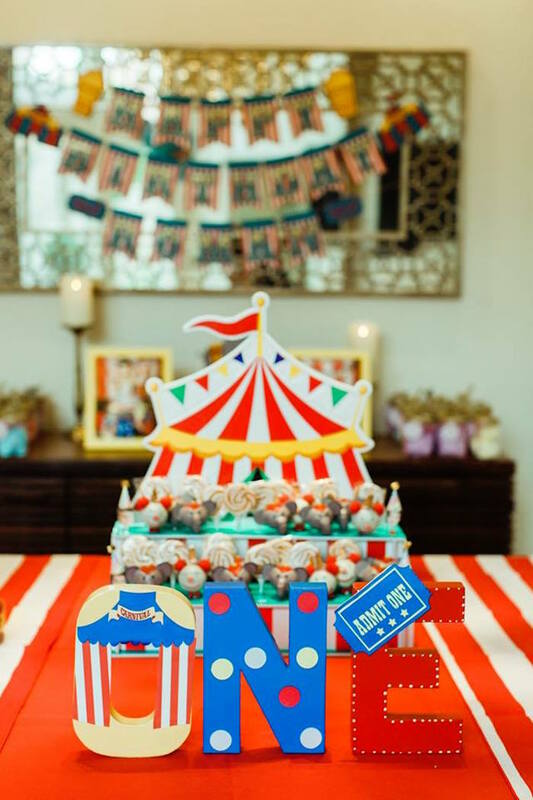 And an adorable Circus Guest Table with custom Circus Centerpieces! 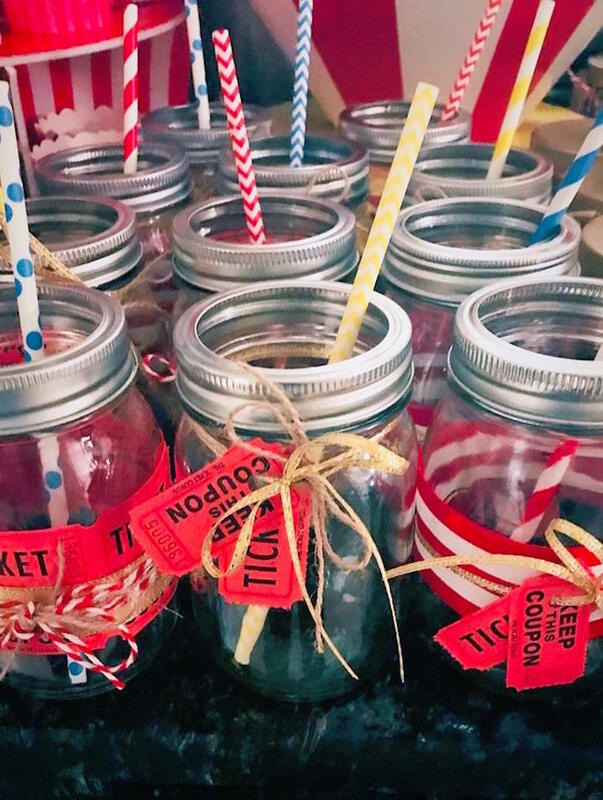 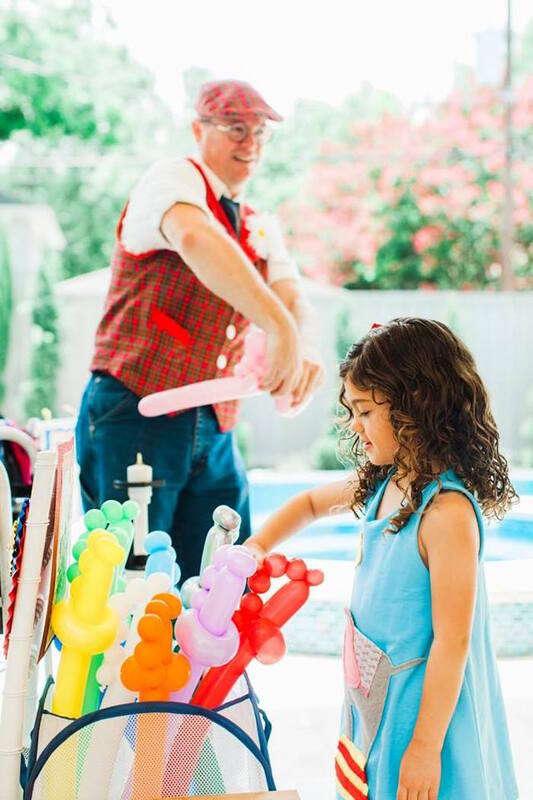 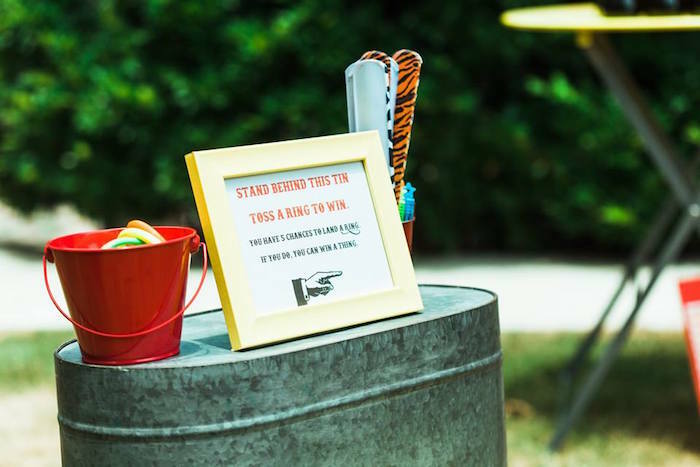 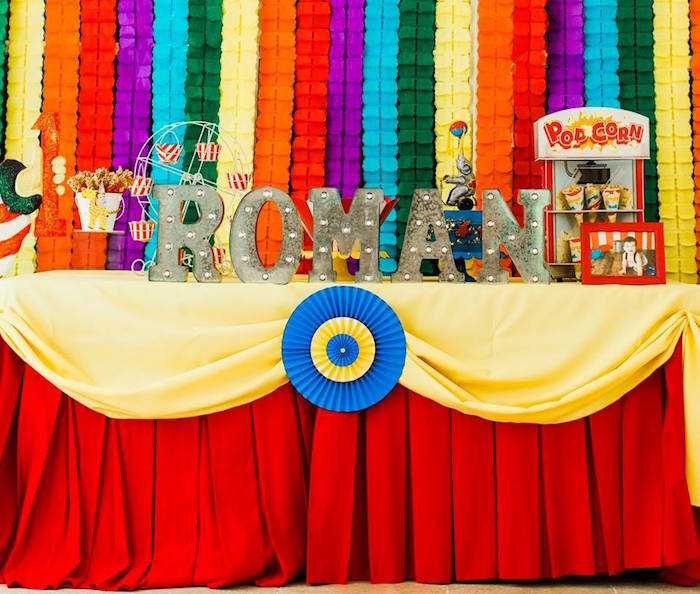 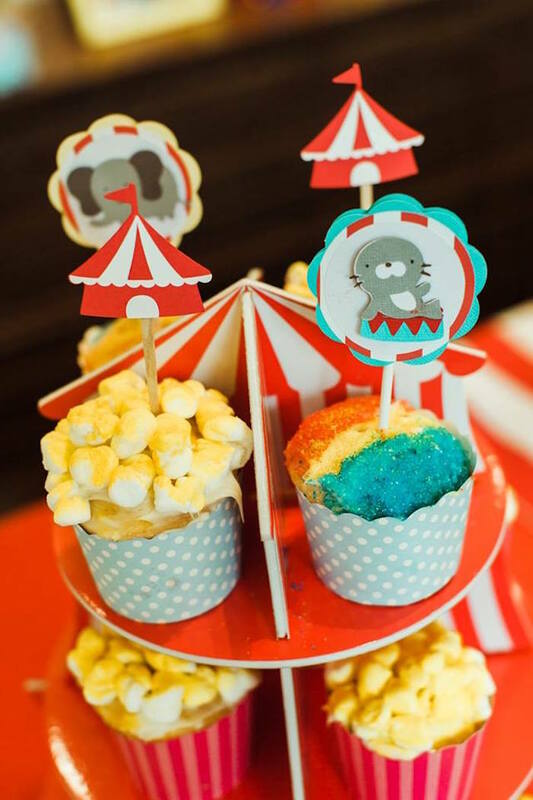 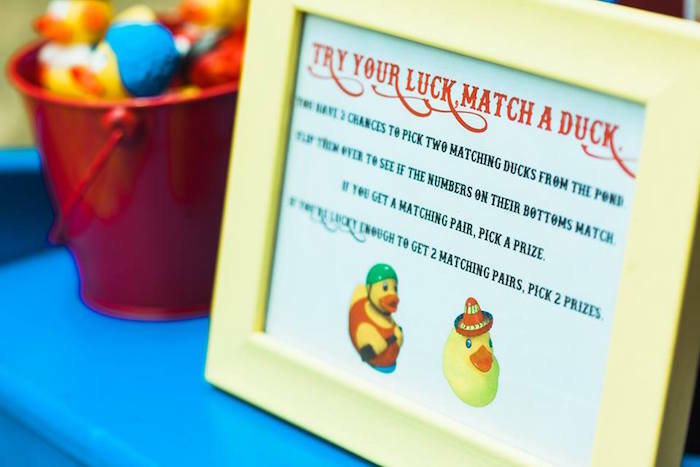 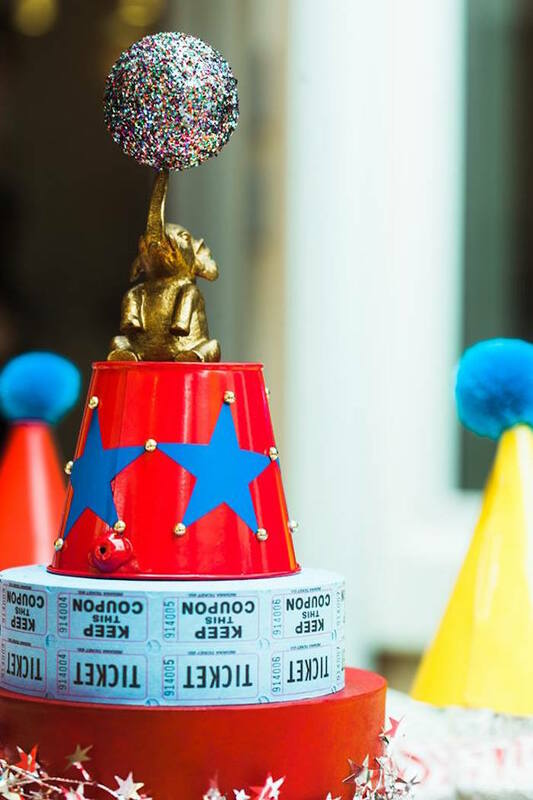 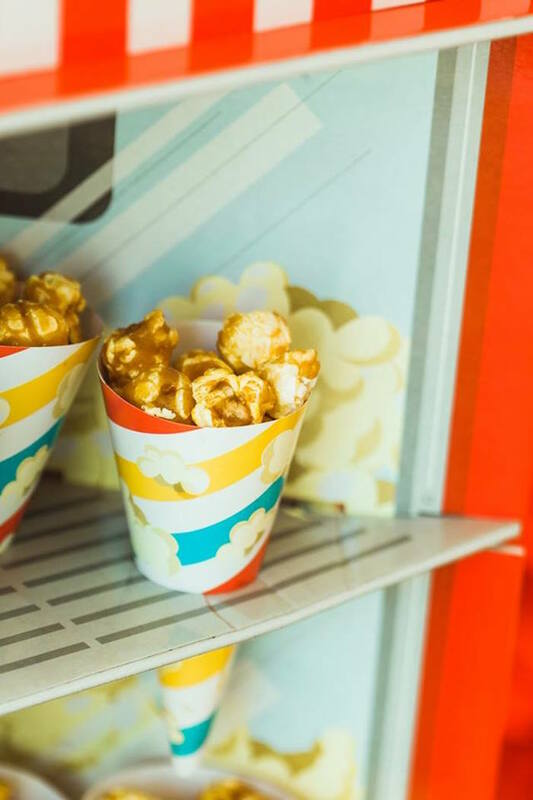 This is what Jessica shared about styling the party- ‘This was a first birthday party for my son, Roman (Our Greatest Showman). 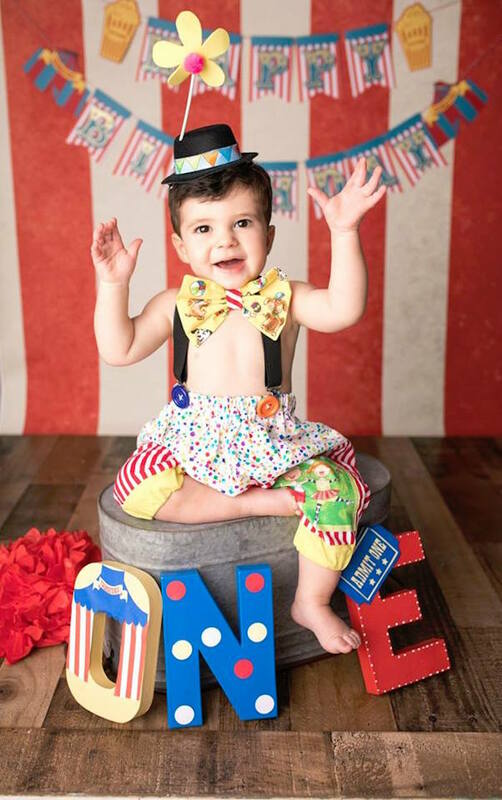 His 4-year-old sister has lovingly called him “Roman the Showman” since he was just a few months old, so “The Greatest Showman” theme just seemed appropriate. 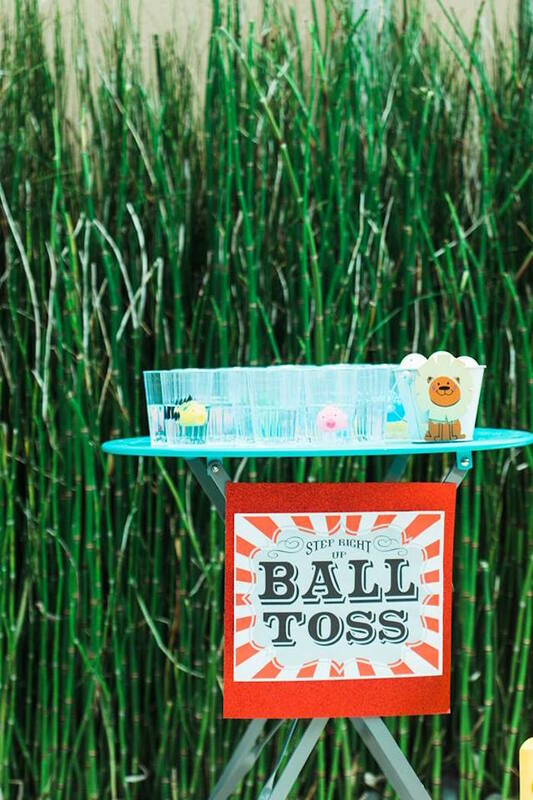 I searched high and low for the perfect backdrop for our outside table display. 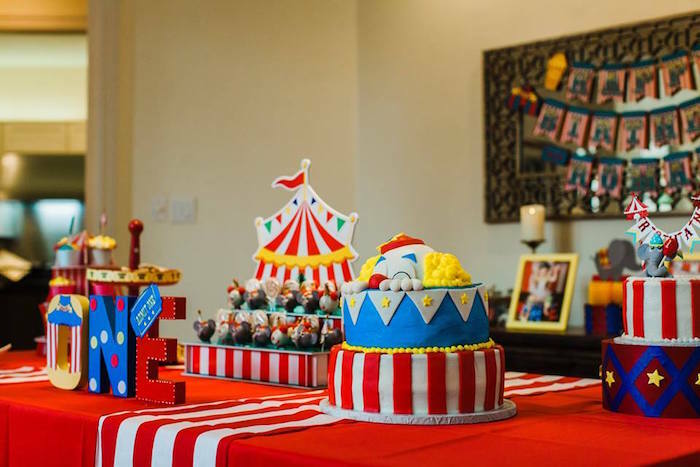 Nothing seemed to fit the feel I was going for or the space just right. 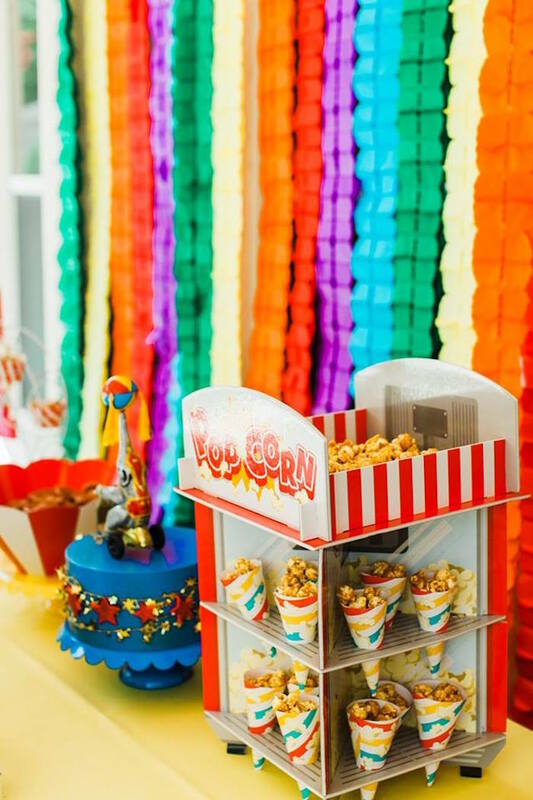 I started to think a little outside the box and ended up purchasing two packages of 3D rainbow hanging streamers, hung them one by one, and finally, I had the backdrop I’d been dreaming of. 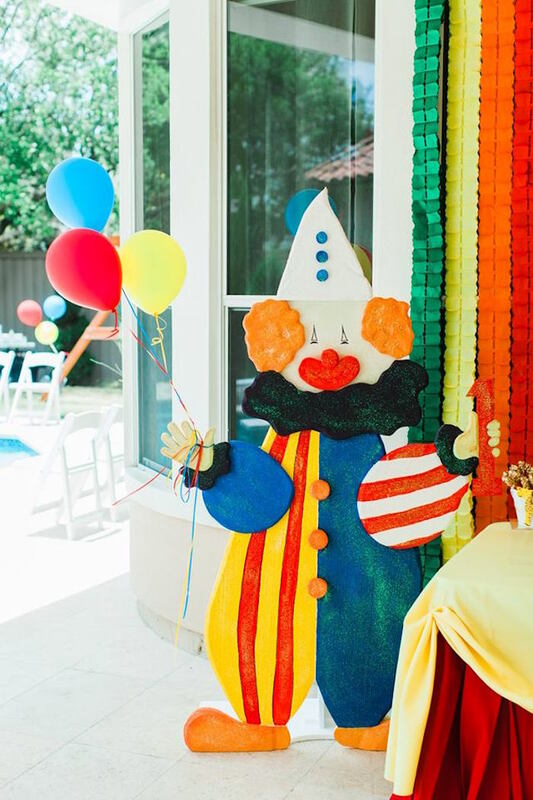 One thing I wanted to make sure of was that our entertainment was in no way reminiscent of the dreaded “creepy clown.” Goal met. 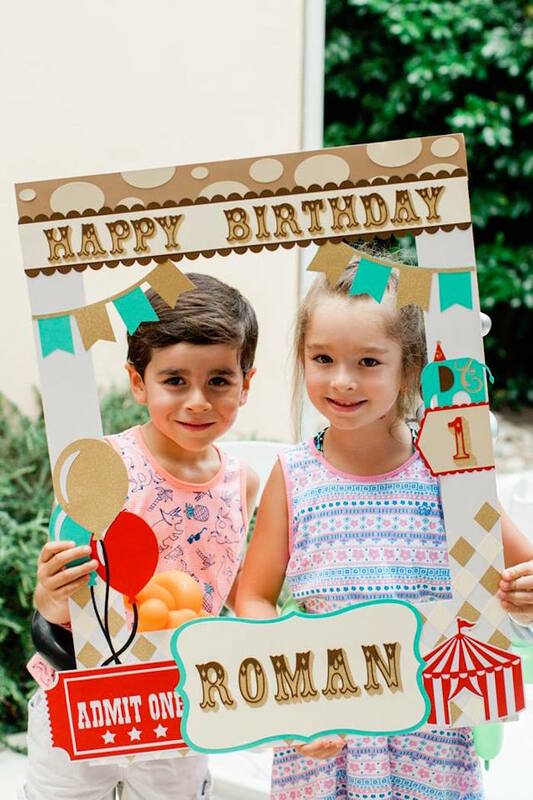 We found the Ramazini’s – an adorable married couple who actually toured several years with the Ringling Bros. & Barnum and Bailey Circus. 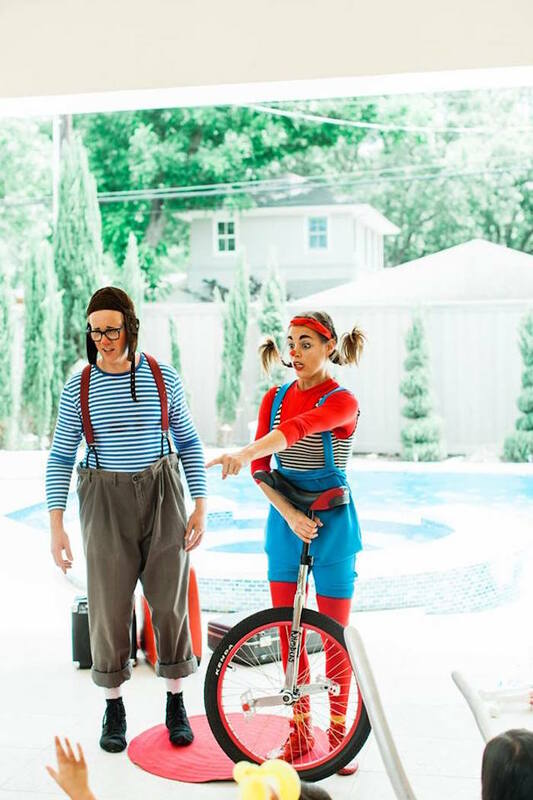 They performed acrobatics and an interactive show the kids just loved. 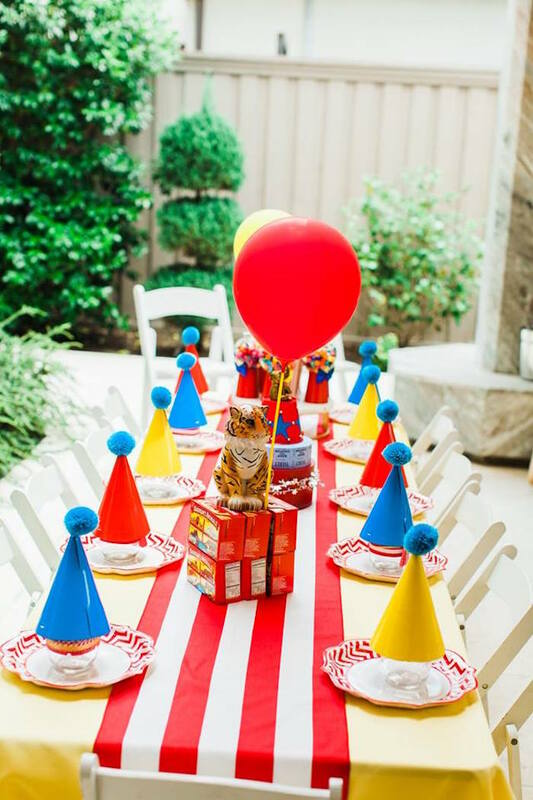 I had carefully thought out the design of the children’s table, but you know what they say about the best laid plans. 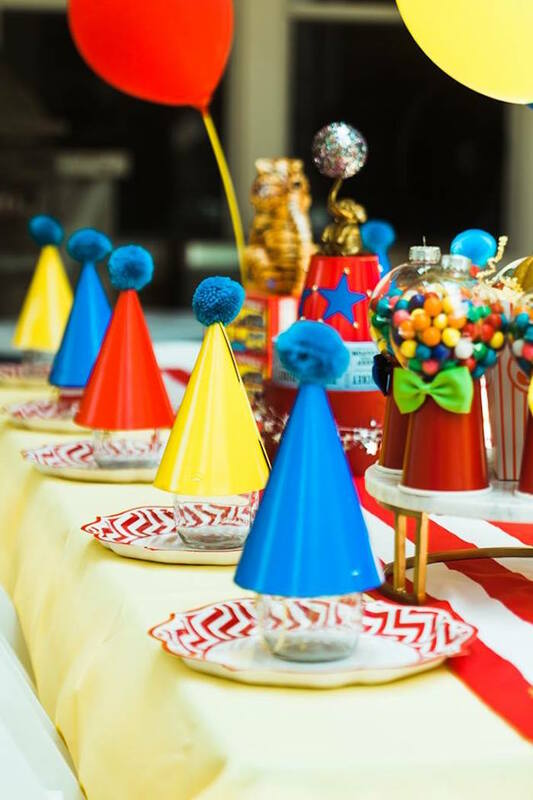 Strong winds gave us some trouble, so we secured the plates and pom-adorned hats using mason jars. 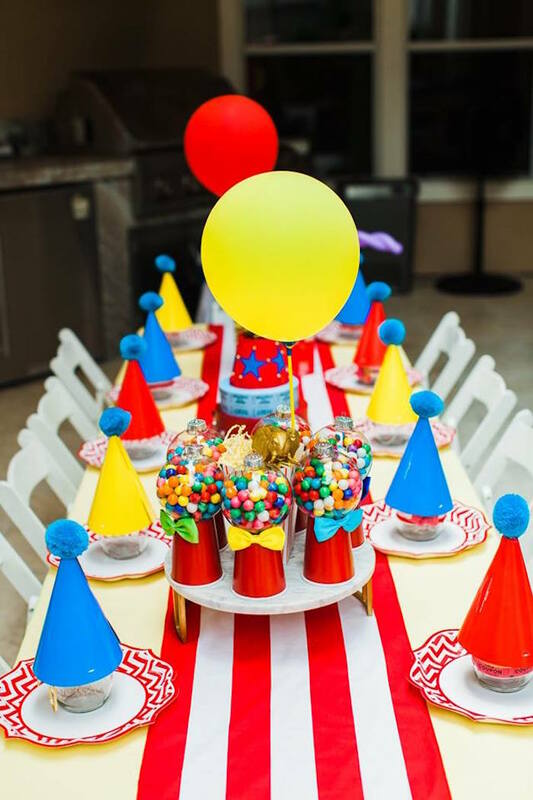 It almost made the hats look like they were floating. 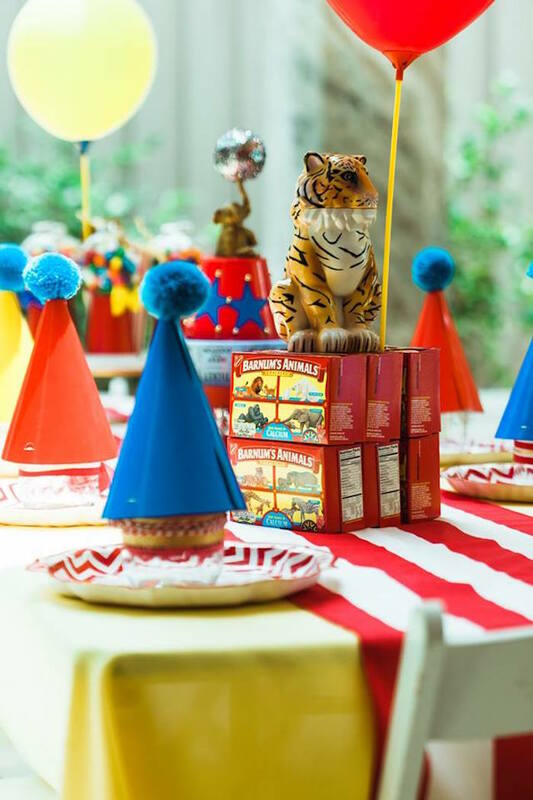 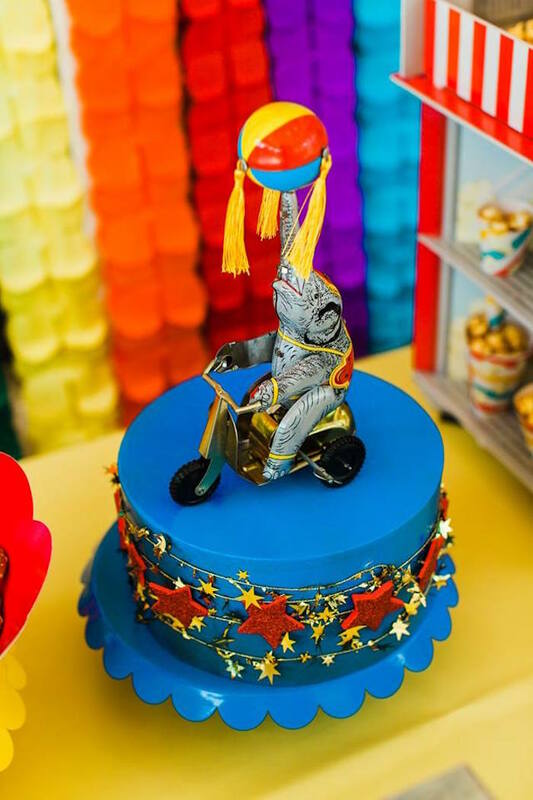 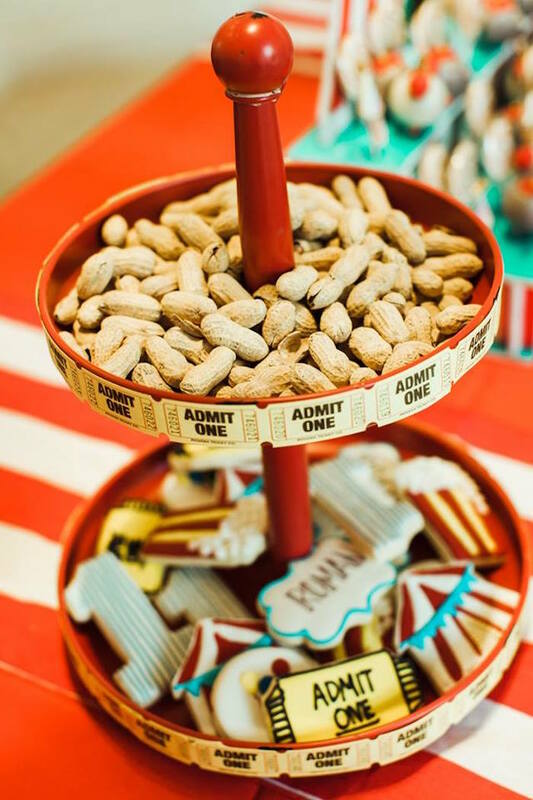 We crafted several “circus podiums” using a combination of animal cracker boxes, round cardboard boxes & metal tins, spray paint, painters’ tape, stickers, and shiny garland. 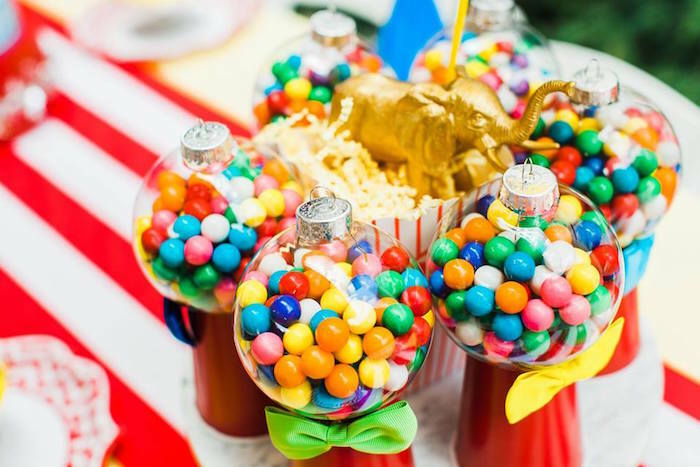 We also made mini gumball machines using red solo cups, clear ornaments, and a jumbo pack of mini hairbows. 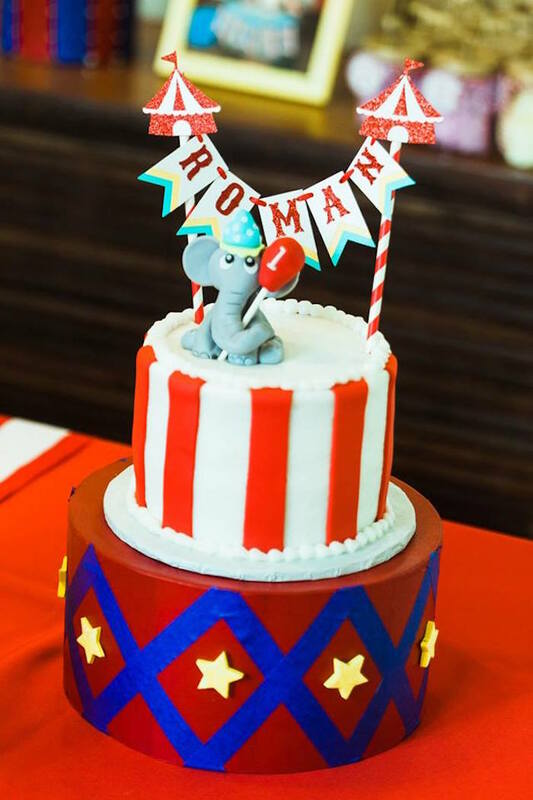 A guest favorite!